Dahlias! This is their moment! But wo! The woodchuck(s) is decimating my dahlias! I managed to pick two this morning. But the animal has managed to climb or jump my 4 foot fence! Any suggestions? 8 Responses to Woodchuck wo! I was going to say mercenaries. Or wolves. Do wolves eat woodchucks? They are such lovely creatures but when they eat your dahlias, not so cute, time to take action! We’ve borrowed a haveaheart trap, loaded with carrot. Hope for the best and that any babies (hope not!) are old enough to fend for themselves, and please oh please dont take after Mother by eating the dahlias! Oh dear – not again. Have you ever had a year when all your dahlias have survived one thing or another. Maybe if you fed them, the woodchucks that is, they may leave your dahlias alone. Elaine, we have a full and active compost heap; fresh fruit and vegetable scraps added almost daily! WOuldn’t you think that would keep him away from the dahlias? Apparently he has a taste for parsley and dahlias! 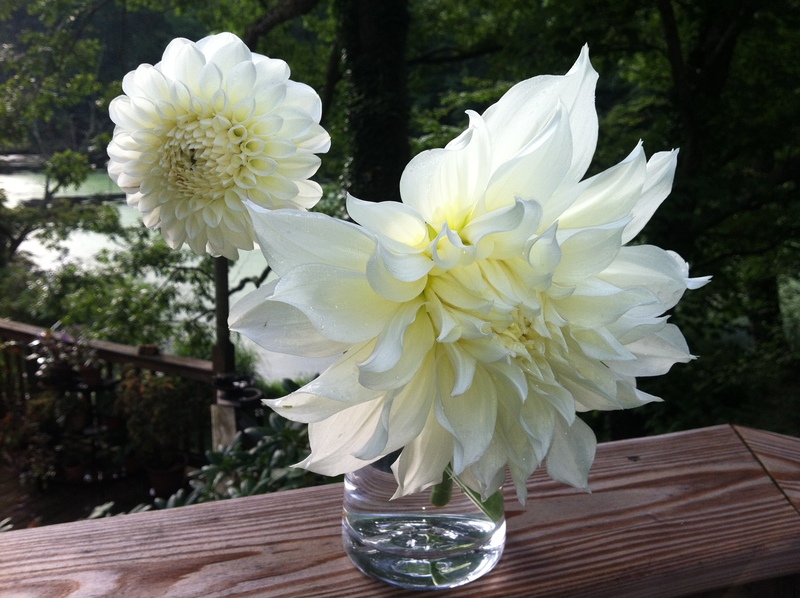 Wow, those are amazing Dahlias, look at the size of those flowers! It’s a very strong stem that has to support a flower that huge, they really do look stunning!